Colin Firth is back as Harry Hart, thank goodness because he is definitely the heart of this film (sorry) and even though Harry’s got a touch of amnesia and is not up to par with his former self. 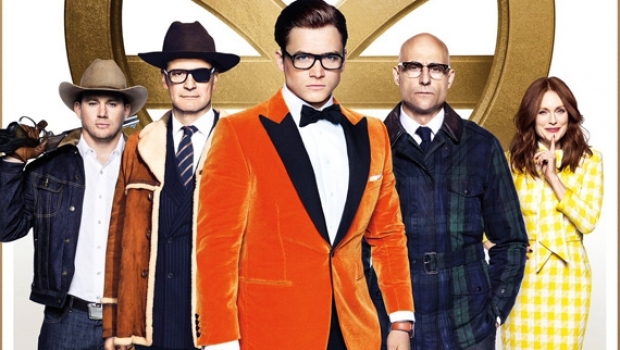 Taron Egerton also returns as “Eggsy.” Joining them this time are Julianne Moore, Halle Berry, Jeff Bridges, Channing Tatum and an incredibly funny turn by Singer Elton John, playing himself. The theme deals with a drug cartel, posing as a pharmaceutical company led by Poppy Adams (Moore) who introduces a new drug which causes the user to break out in a blue rash, which leads to madness, paralysis and ultimately, death. The plot consists of our hero’s chasing down the antidote before millions will die because of this new drug. The emphasis once again is on creative action scenes and cartoon violence. Eggsy has taken the position of Galahad within the organization and has settled down with his sweetheart, Crown princess Tilde of Sweden. 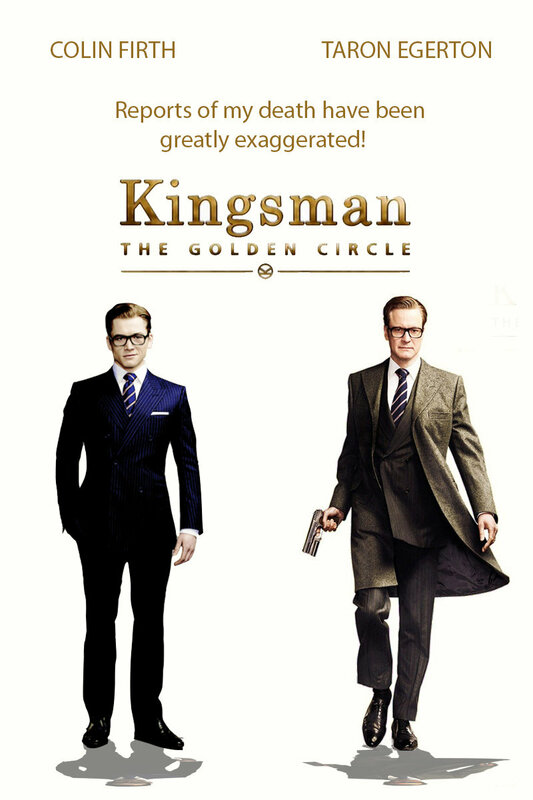 Things go awry for our protagonist when a former Kingsman, Charlie Hesketh (Edward Holcroft) ambushes Eggsy, but Eggsy manages to evade this attack. Hesketh had his vocal cords and one arm replaced by cybernetic units after the previous incident and is bent on revenge. A few great and unexpected twists, which I won’t reveal here, but they will change the face of the Kingsmen forever. The plot device isn’t new, it’s been done to death on everything from the Star Trek: The Next Generation Episode “The Most Toys” to Teenage Mutant Ninja Turtles (2014.) 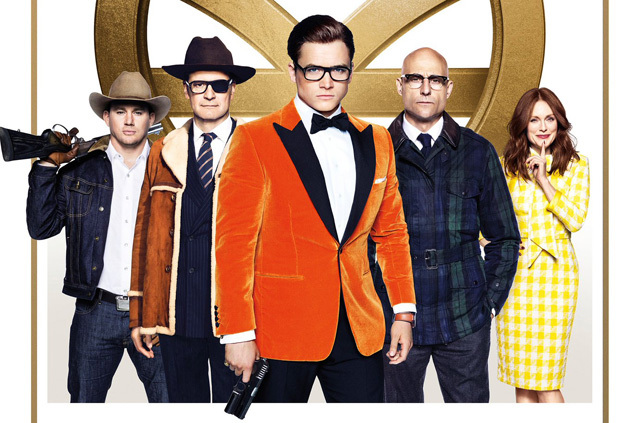 But, as always, it’s the chemistry between the leads and the awesome direction of Matthew Vaughn that keeps the material fresh. This film is just as much fun as the first one and the over the top action scenes are on par with the first film. We also see corruption on the Presidential level as Bruce Greenwood’s commander in chief performance shows him more concerned with political gain than human lives.